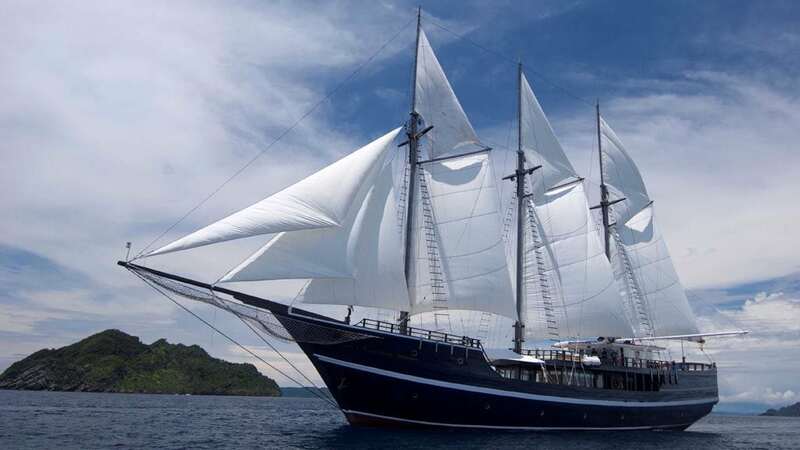 The Dewi Nusantara is one of the largest liveaboards in Indonesia. 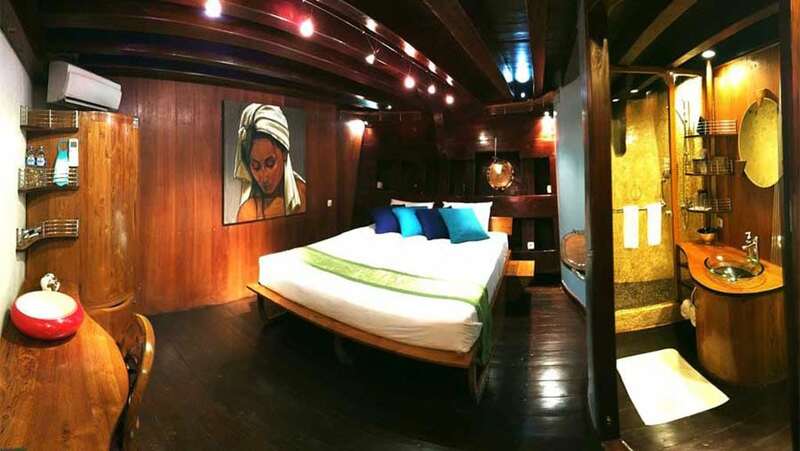 Its master stateroom is currently the most spacious on any dive boat and evokes the romance of a bygone seafaring era while providing the space of a large hotel suite with the latest in modern design and amenities. 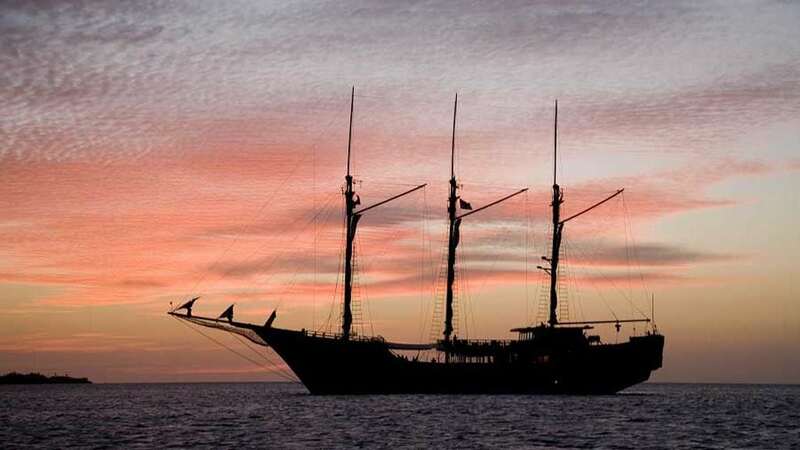 The liveaboard, built in 2007, is a solidly constructed wooden three-masted schooner. At 57m (188ft) in length, she is truly a large yacht, providing plenty of space for a total of just 18 passengers. Dewi Nusantara – What’s in the name? Dewi Sri, or Shridevi is the Javanese, Sundanese, and Balinese pre-Hindu and pre-Islam era goddess of rice and fertility, still widely worshiped on the islands of Bali and Java. 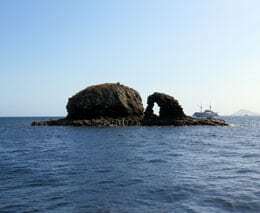 Dewi-Nusantara = Goddess of the archipelago! How fitting! Dewi Nusantara is equipped with a nice salon and restaurant. 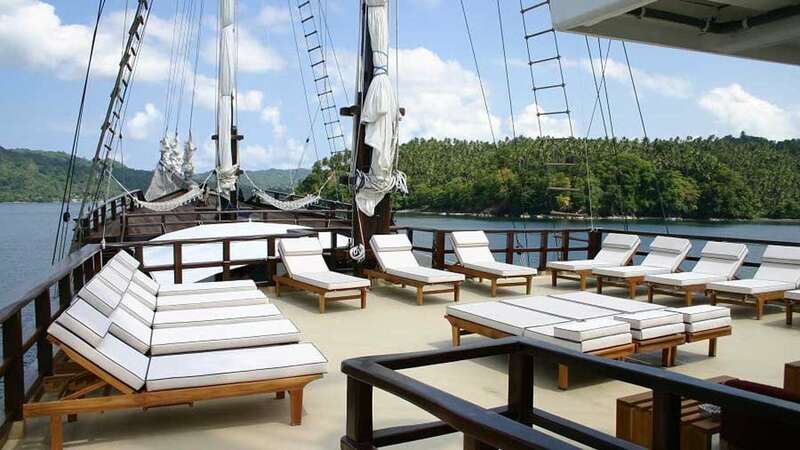 Dewi Nusantara is fully air-conditioned and it has a big sun and dive deck, which is excellent for relaxing after the dives. Meals prepared by the onboard chef consist of an international mix of local flair. There is in-room morning coffee service, breakfast cooked to order, buffet lunch and an elegant meal at dinner with tableside service plus several snacks throughout the day. Non-alcoholic beverages, local beer (limited selection) and one glass of wine with dinner are complimentary while onboard. Non-alcoholic beverages include fruit juices, soft drinks, plenty of iced water, tea and coffee. Fresh milk may not be available, although UHT long life milk is provided onboard. 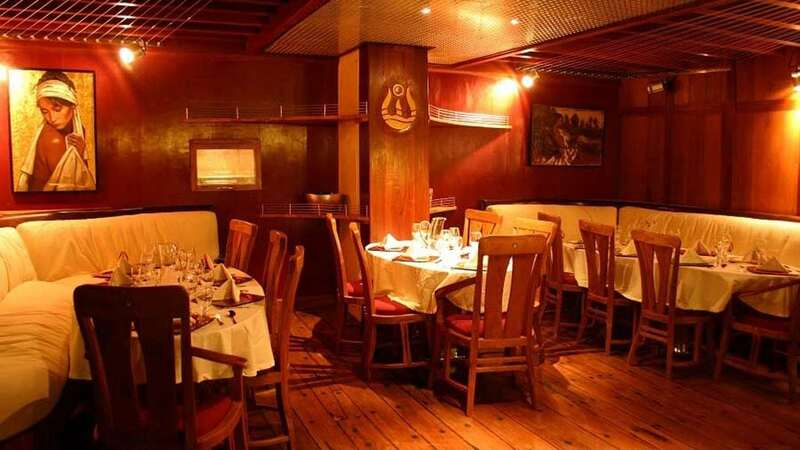 Onboard, there are 9 staterooms for 18 passengers. 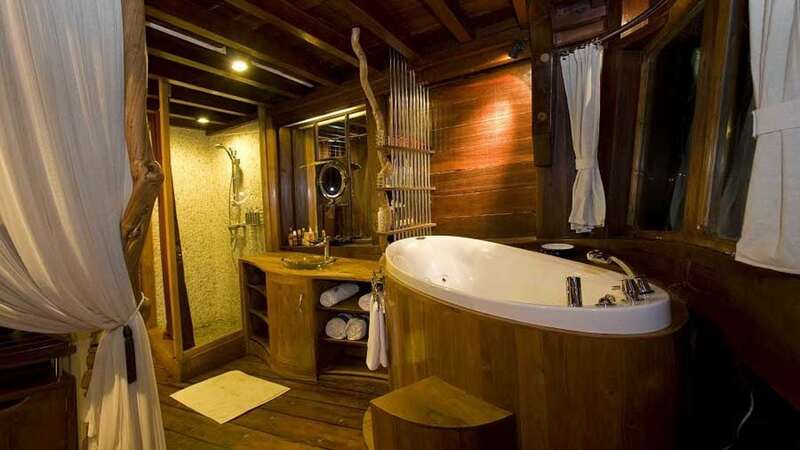 All of the staterooms are larger than traditional staterooms (at 180sqft each, more than 60% larger than an average liveaboard cabin) and each cabin has private en suite facilities and air-conditioning. The 470 sqft Master cabin at the stern of the main deck features a king size bed, separate sitting area with a sofa, and table with chairs that remind guests of the captain quarters from the schooner design that inspired her. Dewi Nusantara visits several regions within Indonesia, amongst those are Raja Ampat, Komodo, Forgotten Islands and Banda Sea. Almost all diving on Dewi Nusantara is done from the two tenders. The twin tenders are specially designed to take local conditions into consideration – each 25ft/8m long and powered by a 200 HP 4 stroke engines. They have electric starters and are driven from the front leaving most of the interior free for divers to suit up comfortably and set up their cameras. Each craft has its own oxygen unit, VHF radio, shot & stern lines, and electric bilge pumps etc. There are always 2 to 3 dive masters per tender as well as a driver and an assistant. 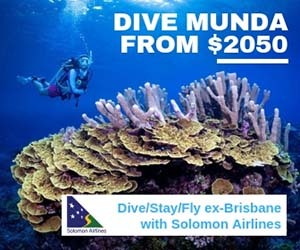 On dive days, up to four dives are offered. 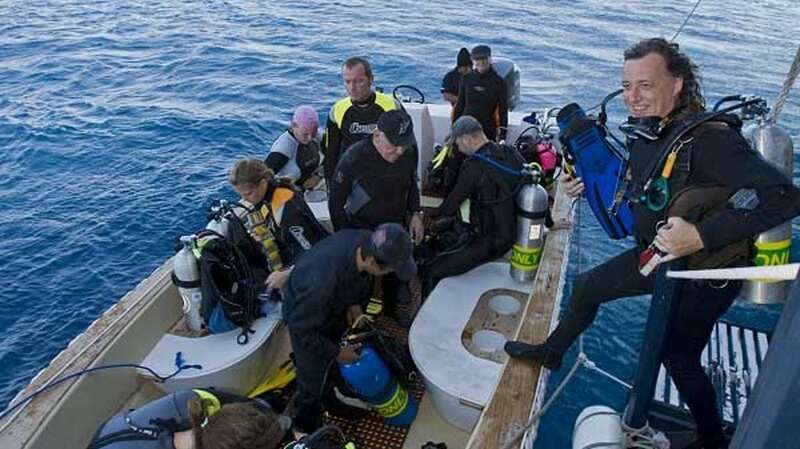 Dives are usually accompanied by a dive instructor after a detailed briefing. West Papua, formerly Irian Jaya, occupies the western half of the same island as Papua New Guinea. This is one of the most remote areas in the far northeast of the Indonesian archipelago. 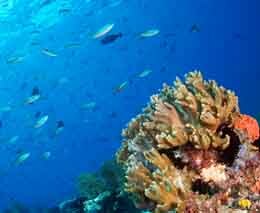 The reefs of Raja Ampat are just as varied as the marine life. 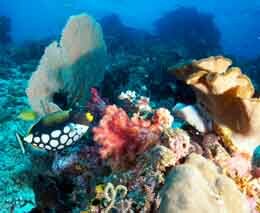 There are vertical walls, reef flats, slopes, seamounts, mucky mangroves, lagoons and pinnacles. 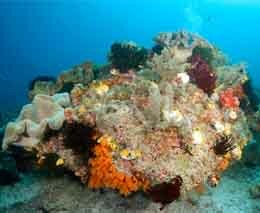 The reefs are in pristine condition with miles of perfect hard corals and many varied colourful species of soft corals. 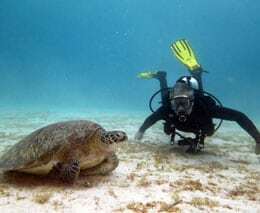 The diving is predominantly drift diving due to the moderate prevalent currents in the area which provide nutrients for the myriad fish and coral. Currents average at ‘moderate’but can vary from none to ‘very strong’. Due to these currents and the number of wrecks, Irian Jaya is not really considered a destination for absolute beginners, rather for divers with a few dives under their weight belts looking to get away from the crowds. 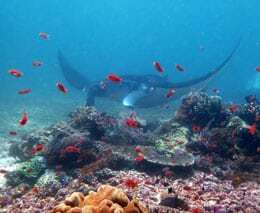 Many of Dewi Nusantara’s guests are avid photographers who like nothing more than hunting out weird and wonderful critters on the reef and sand. As part of the enhanced Komodo itinerary, two locations to the west of the Komodo National Park have been added – Sangeang Indonesia, an island volcano to the north of East Sumbawa and Bima Bay Indonesia, an inlet that meanders down to Bima town on Sumbawa. There are two specific sites in both of these areas that produce a dazzling array of rare creepy crawlies on a regular basis: “Estuary” on Sangeang and “Fuzzy Bottom” at the entrance to Bima Bay. Vibrant local cultures, Komodo Dragons, colourful coral reefs and abundant marine life are amongst the highlights of a Komodo cruise with Dewi Nusantara. 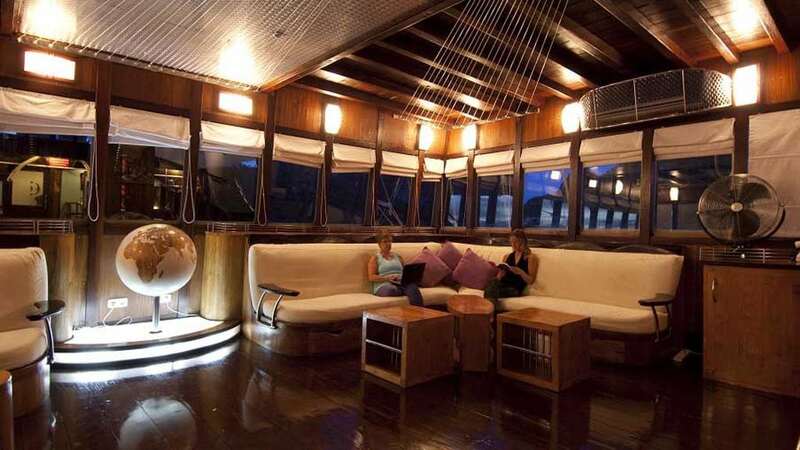 Liveaboard diving does not get any more comfortable than the Dewi Nusantara.